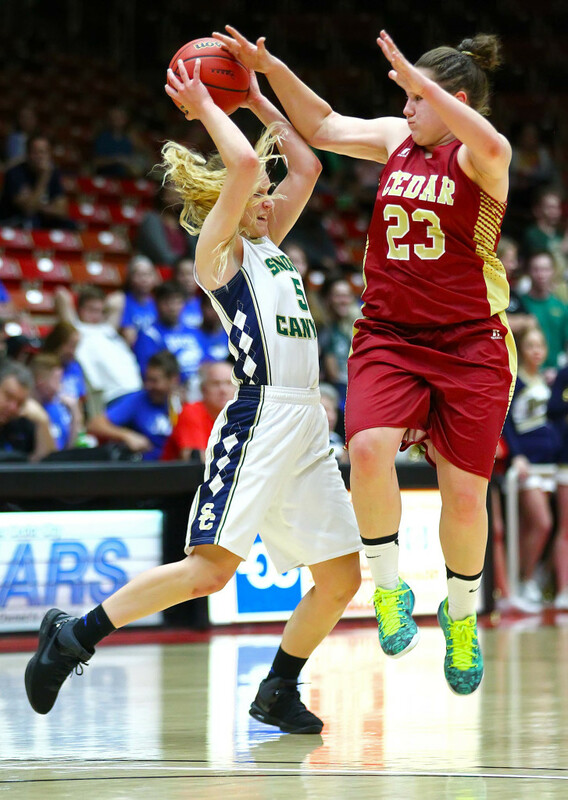 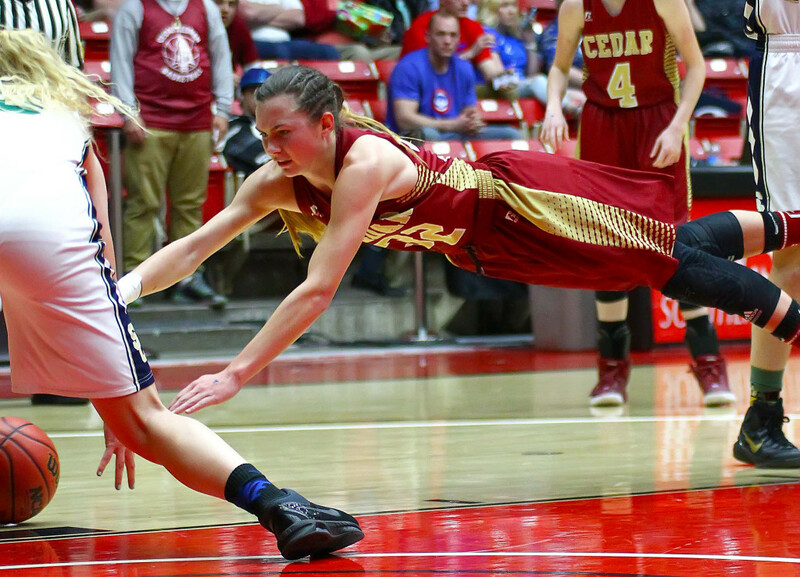 CEDAR CITY — Cedar’s Lady Reds led for about 27 of the 32 minutes in Saturday’s 3A Girls State Championship game. 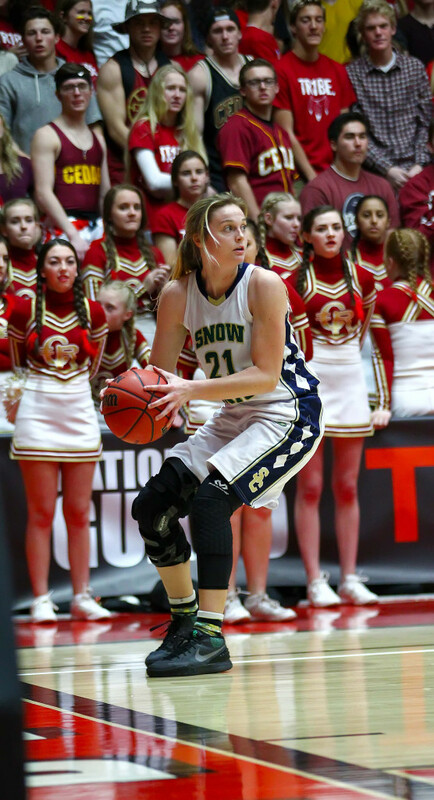 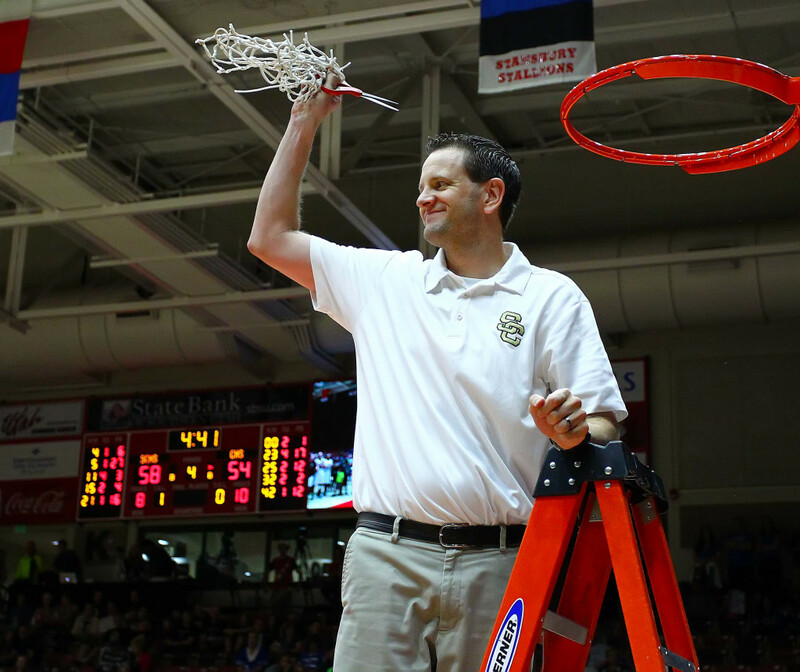 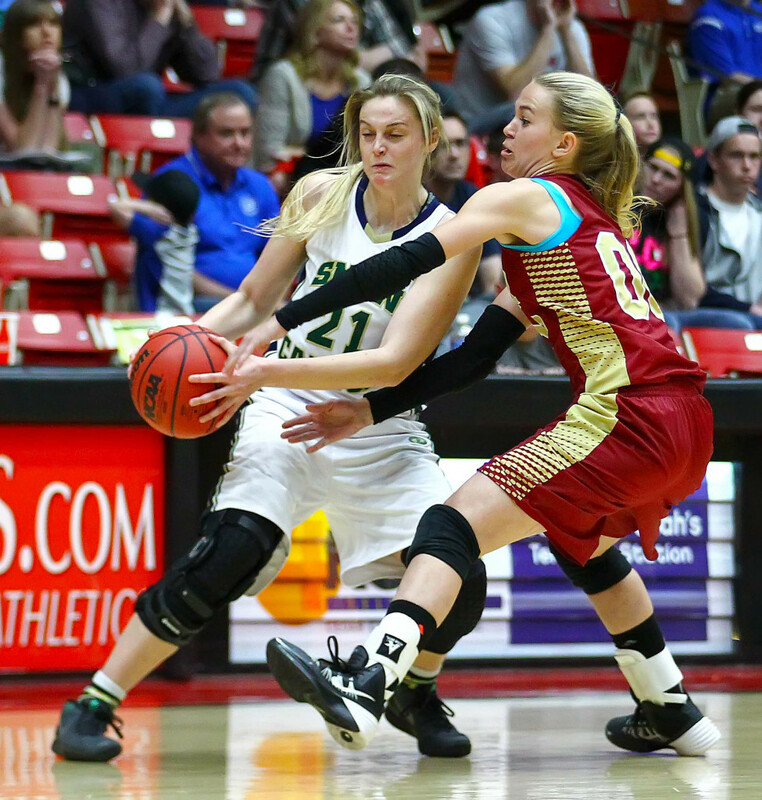 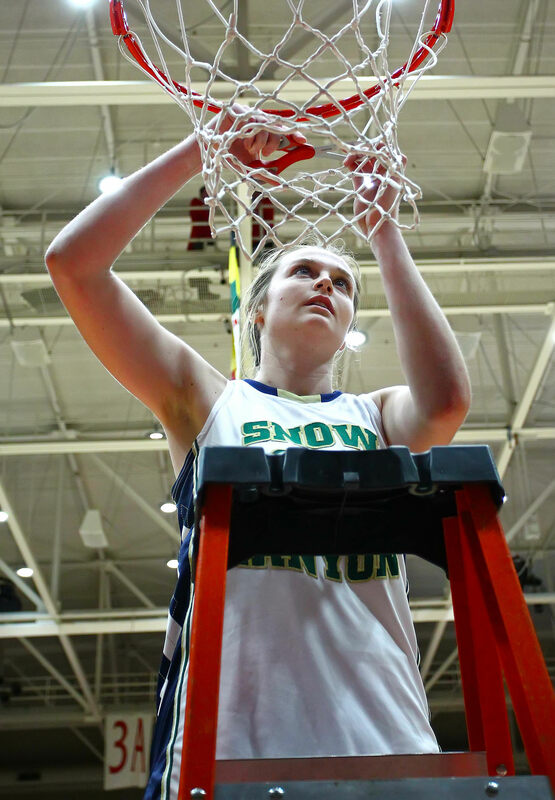 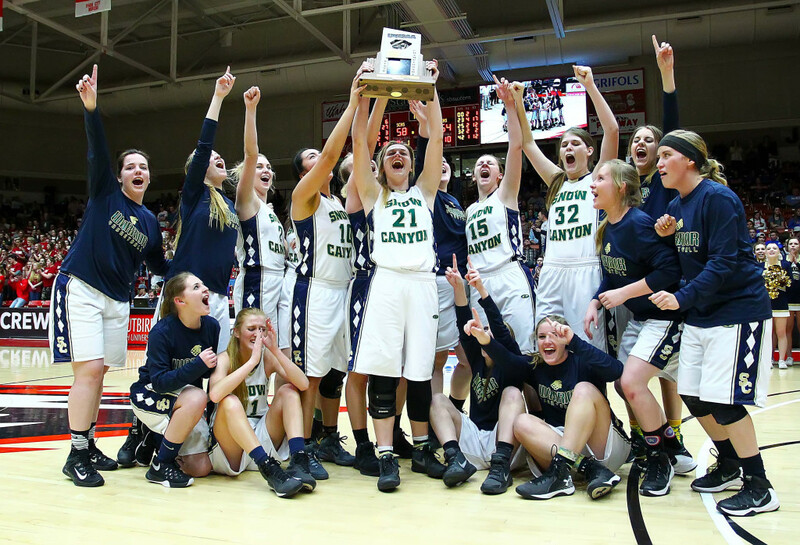 But as we all know, it’s not who led the most, but who led last, and Snow Canyon emerged with a 58-54 victory to capture the 2016 state title. 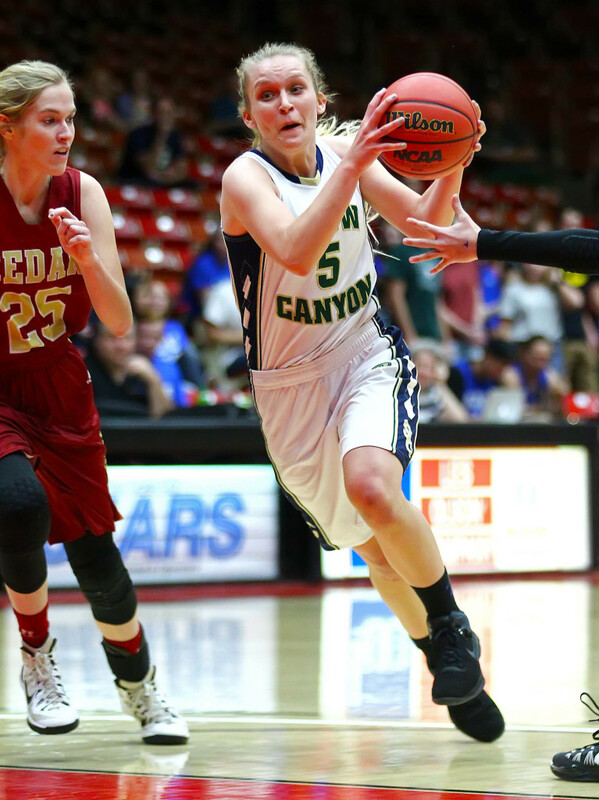 Shaylee Reed, one of those seniors, scored a career-high 27 points and grabbed eight rebounds and Mada Mooring, battling the flu and a couple of deep bruises, scored 16 points and dished out four assists to help Snow Canyon surge to the win. 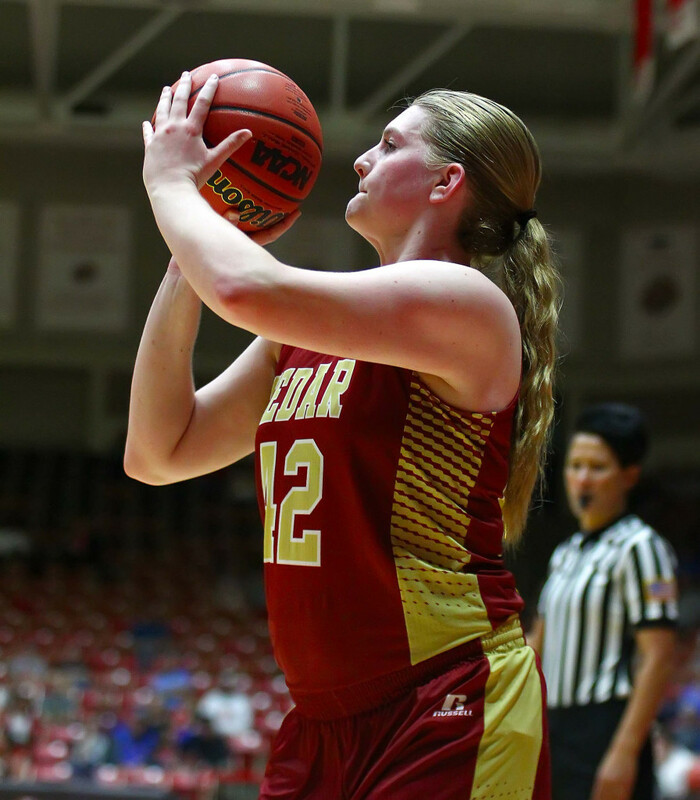 SC led for all of 16 seconds in the first 3 1/2 quarters of the game. 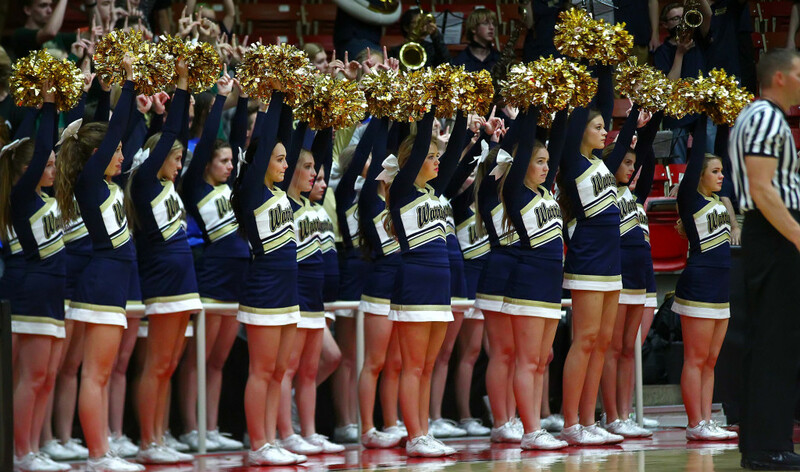 Mooring’s 3-point play in the lane with 3:46 left gave the Warriors the lead back at 47-44. 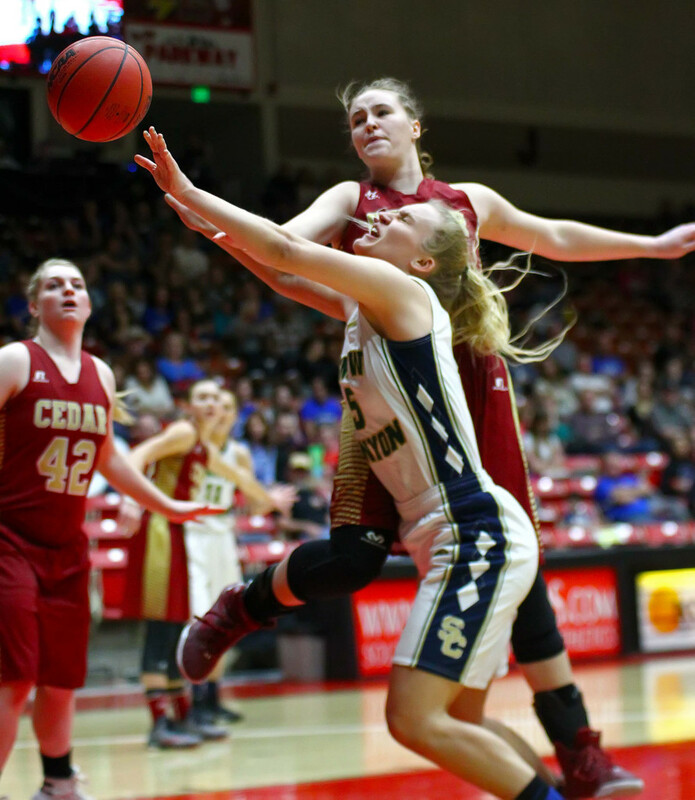 Cedar immediately erased the lead with their star, Courtney Morley, getting her own 3-point play 20 seconds later on an offensive rebound and foul. 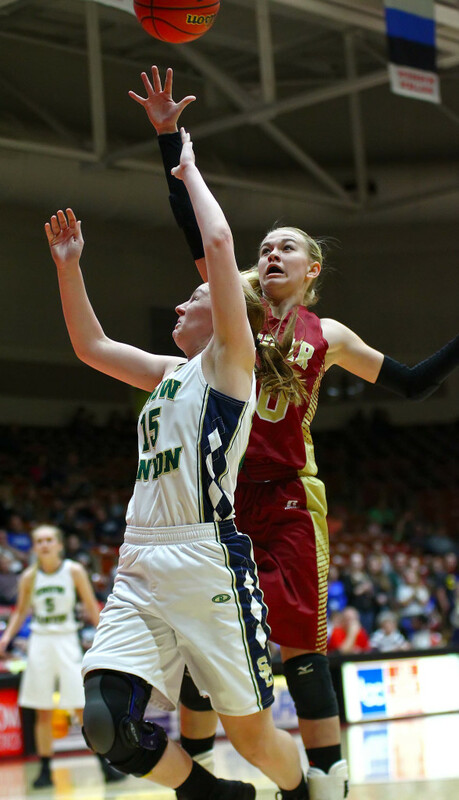 That started an 8-1 run that saw the Lady Reds push their own lead out to 52-48 with 2:15 to go. 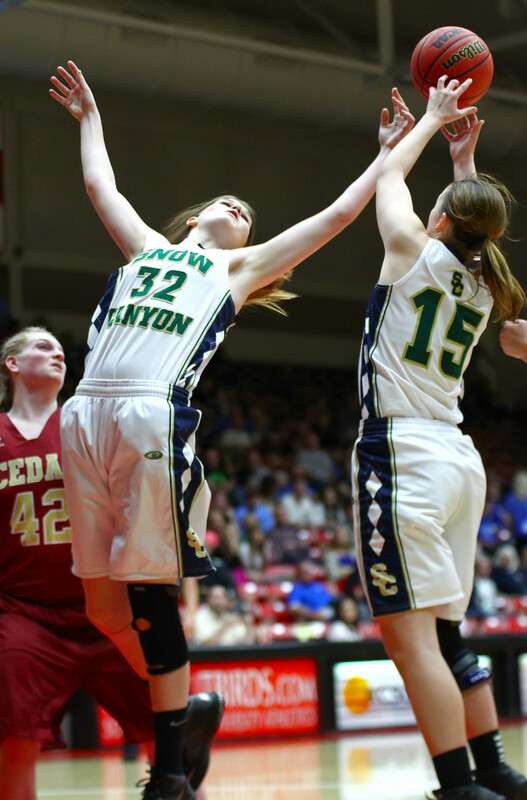 But Snow Canyon responded with its own run of seven straight over the next few moments. 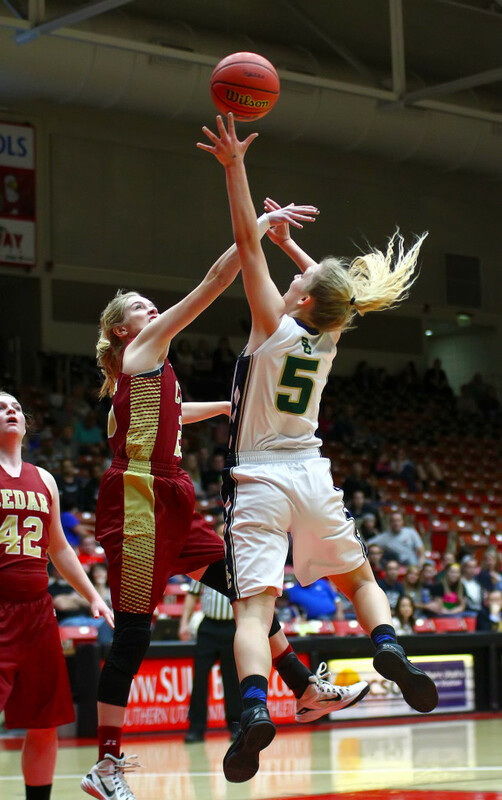 Reed cut it to 52-50 on a runner in the lane with 1:57 to go. 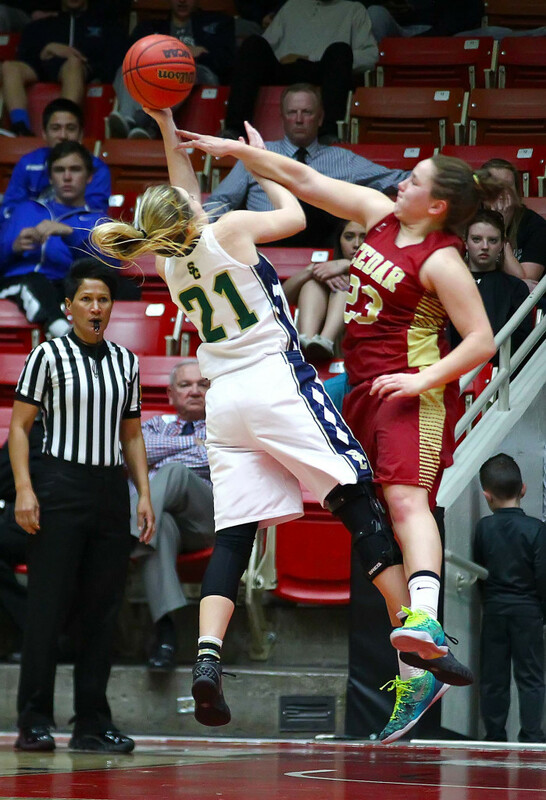 After a Cedar miss, Roden called timeout with 1:10 on the clock to set up a play. 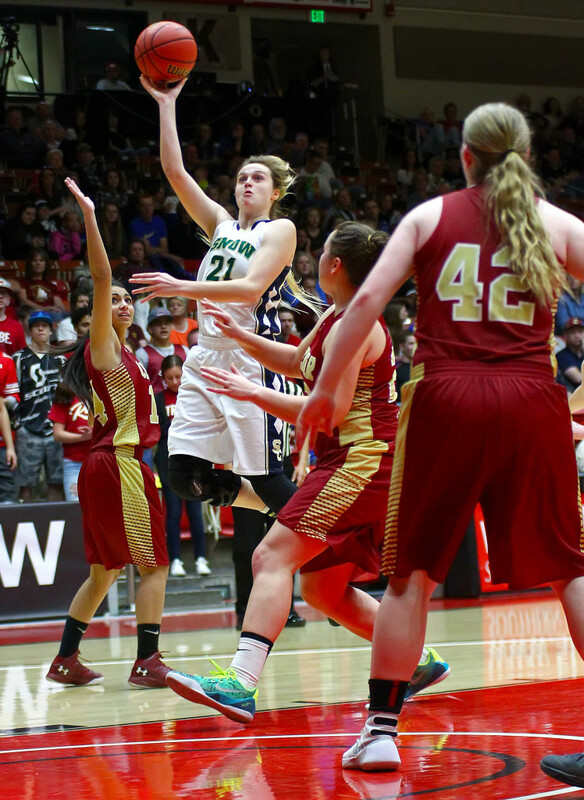 Mooring came out of the timeout and whipped a pass to Nikenna Durante on the baseline. 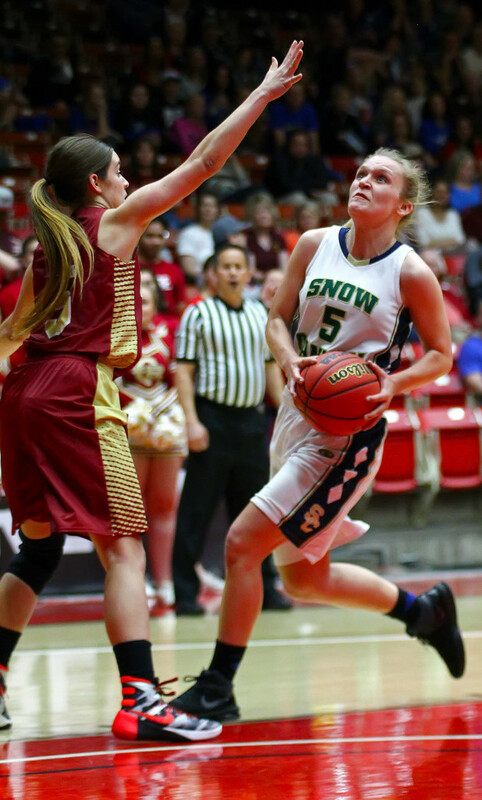 The SC guard swished a 3-pointer to give the Warriors a 53-52 with 1:08 to play. 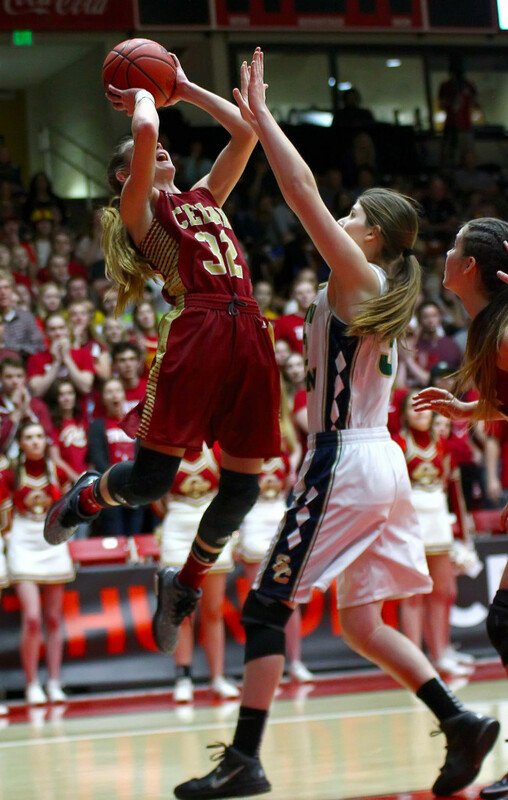 After another Cedar miss, Mooring was fouled and hit two shots to make it 55-52 with 37.9 seconds left. 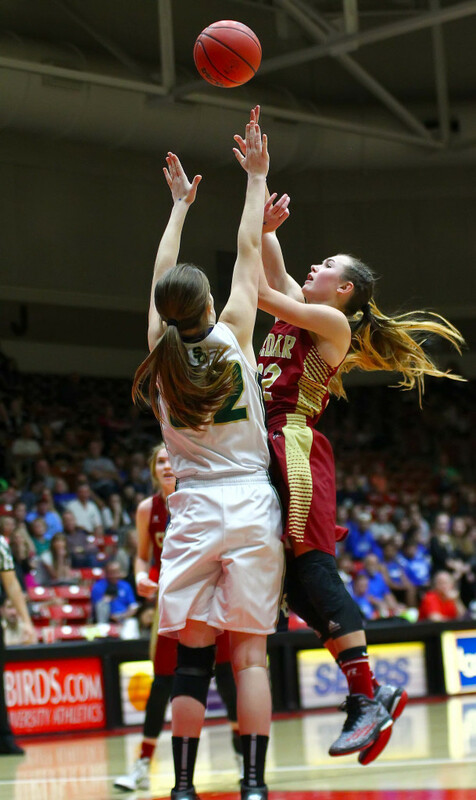 A Carley Davis spinner in the lane cut it to 55-54 with 22.8 to play and Cedar quickly fouled Mooring. 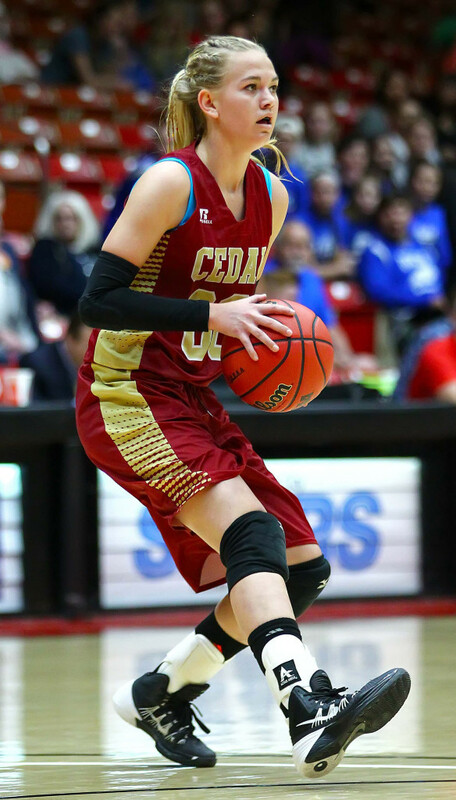 She left the door open by missing one of two and Cedar had a chance, down two with 15.7 left in the game. 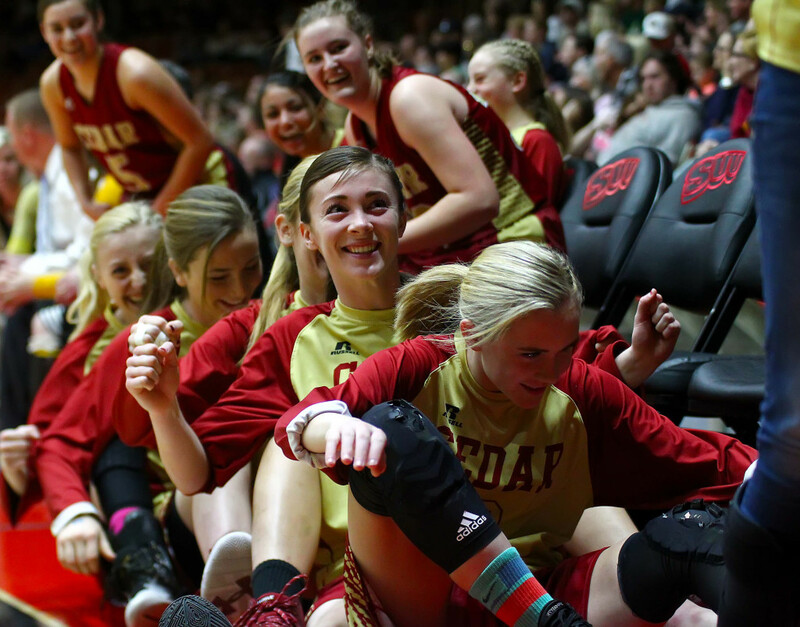 Cedar coach John Elison used a timeout to set up a play, but the Lady Reds threw the ball away with eight seconds left. 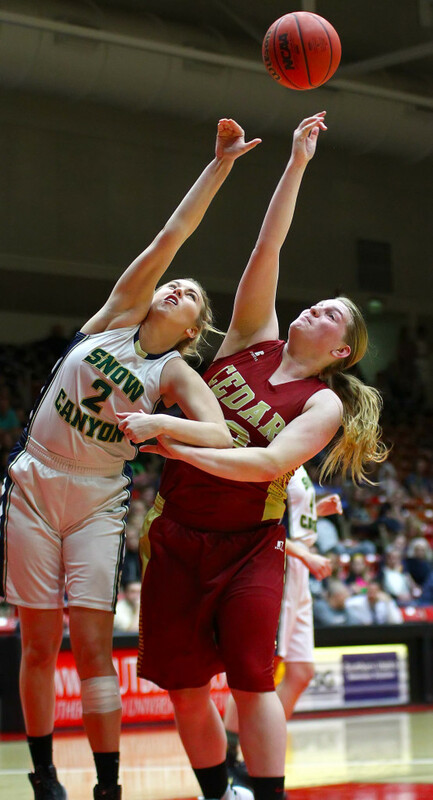 Reed then hit two clutch free throws with 6.1 seconds left to give the Warriors their biggest lead of the game and the final margin of the game. 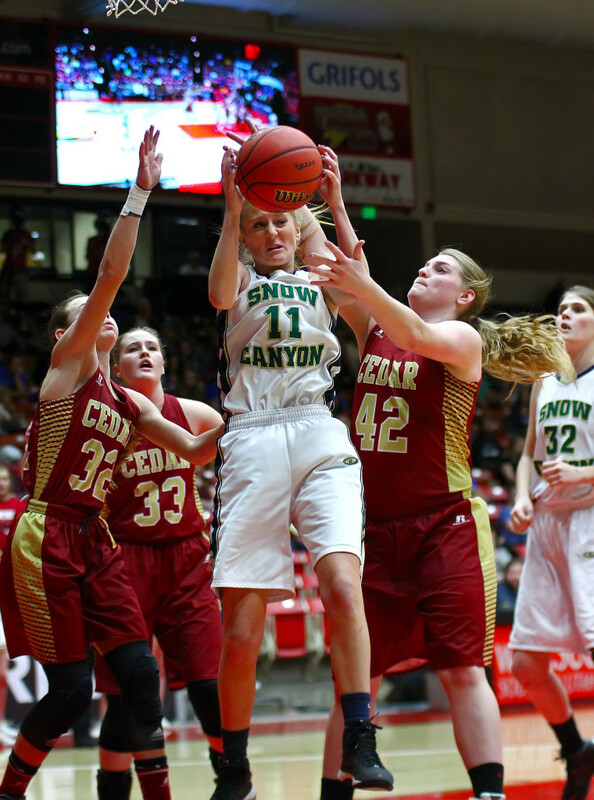 Mooring, who left the game momentarily after a hard foul, as she had in Friday’s semifinal, played most of the game despite battling the flu. 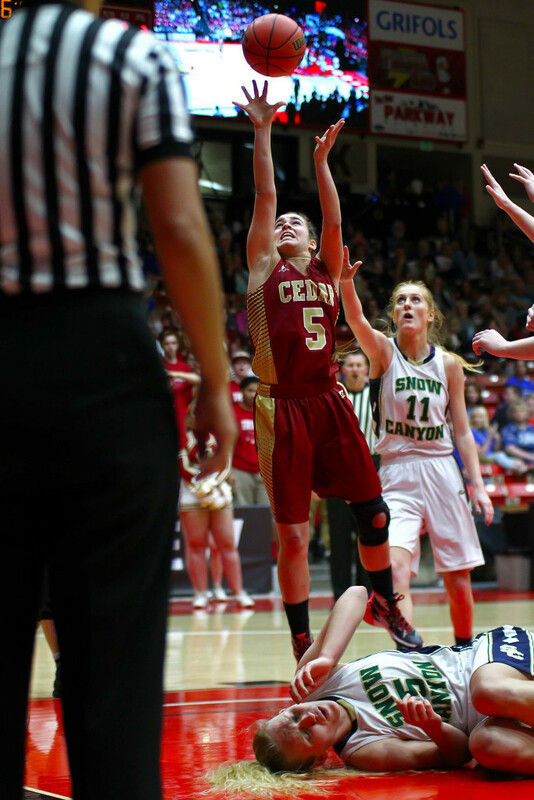 She said she was utterly drained by the end of the game. 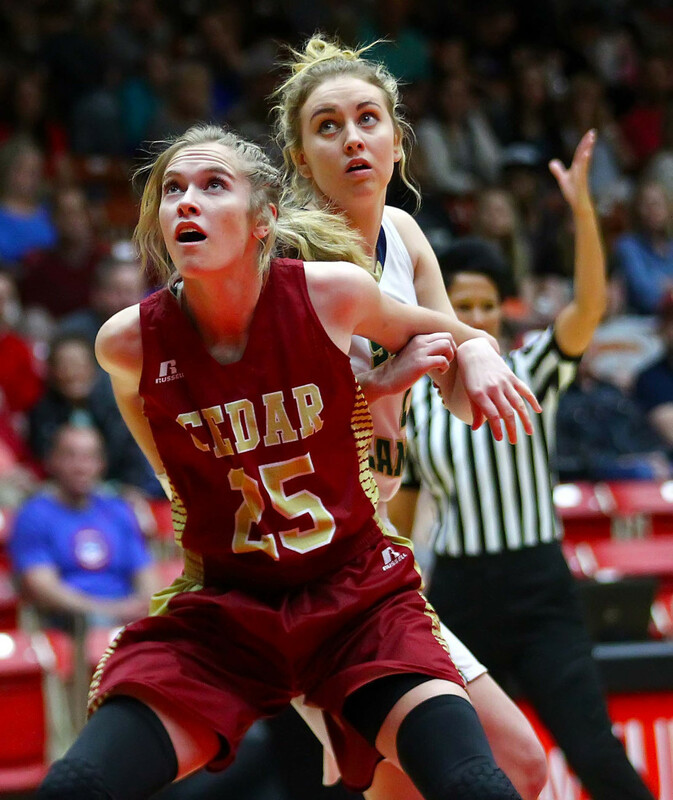 Although Cedar led most of the game, the advantage never got more than six points. 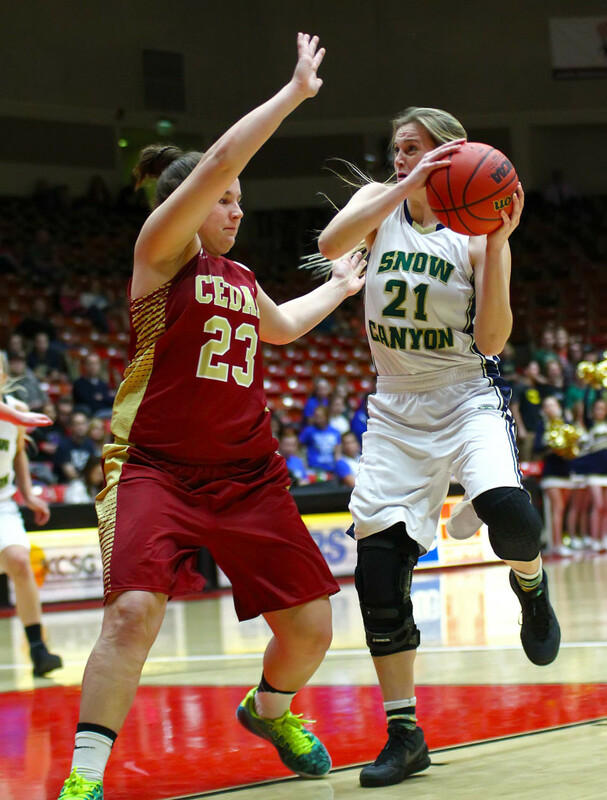 The halftime score was 26-20, but Snow Canyon had cut the deficit to 39-38 at the end of the third. 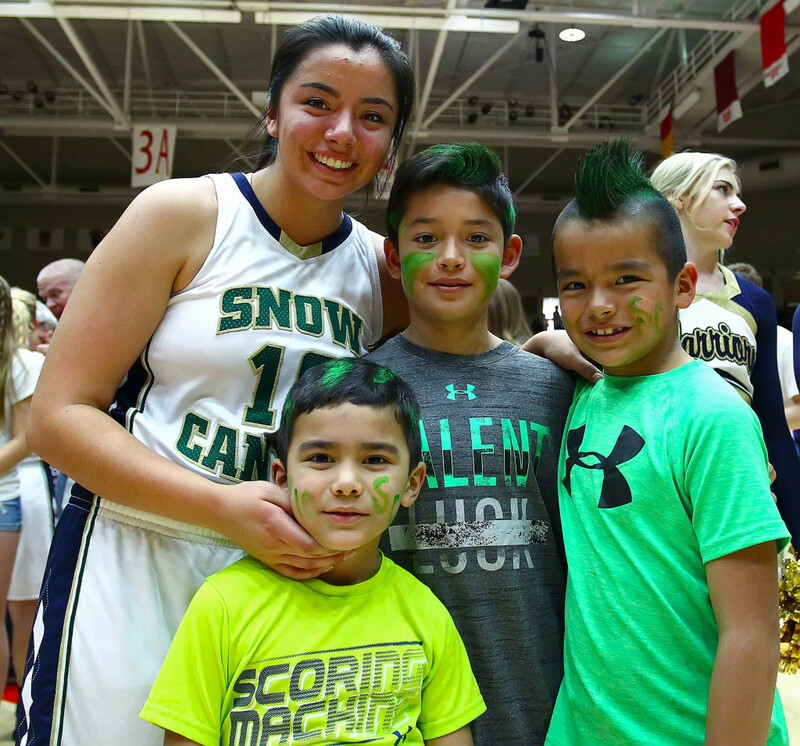 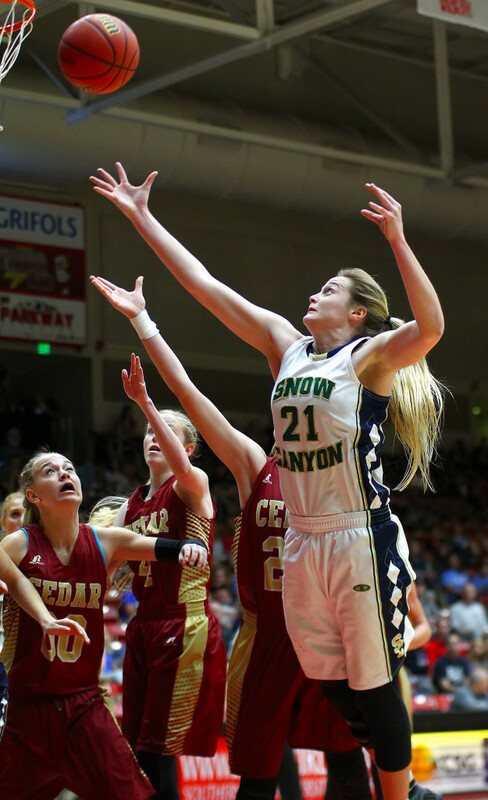 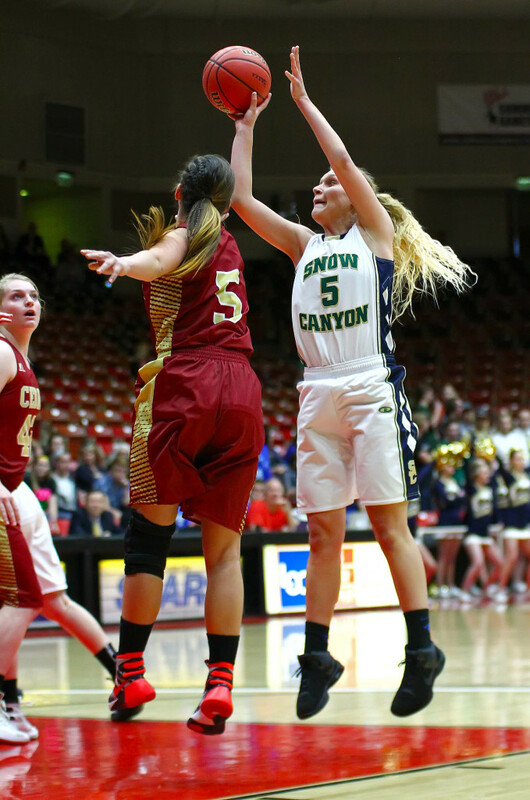 Reed and Mooring were the only Warrior players to shoot free throws, but that was a good thing for Snow Canyon. 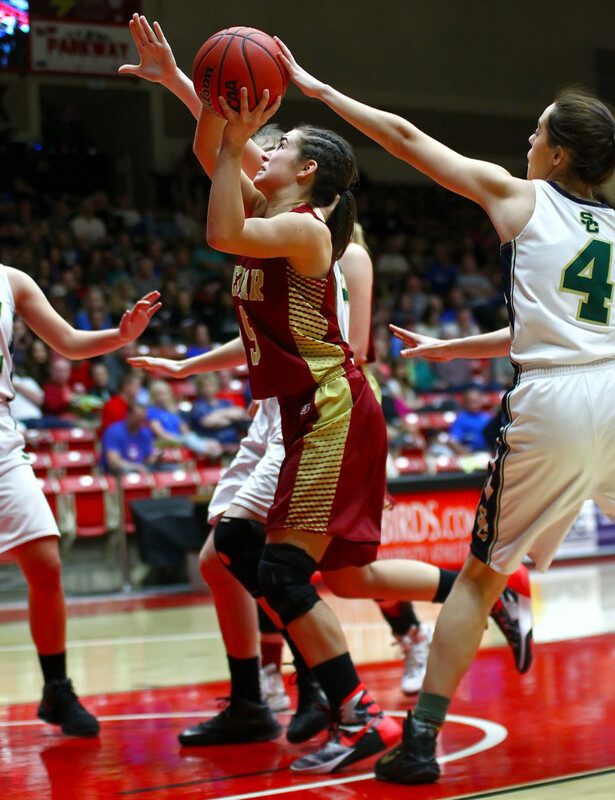 Reed made 13 of 15 and Mooring hit 6 of 9, totaling 19 for 24 in the game (79.2 percent). 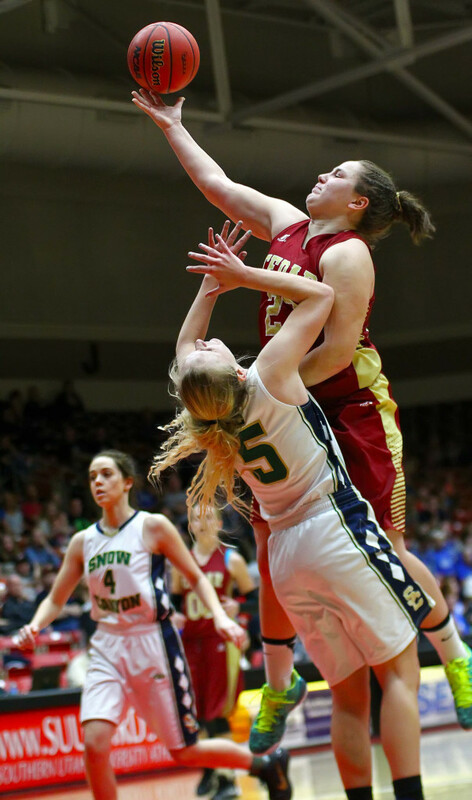 This was the third meeting of the year between the two teams, with SC taking two of three. 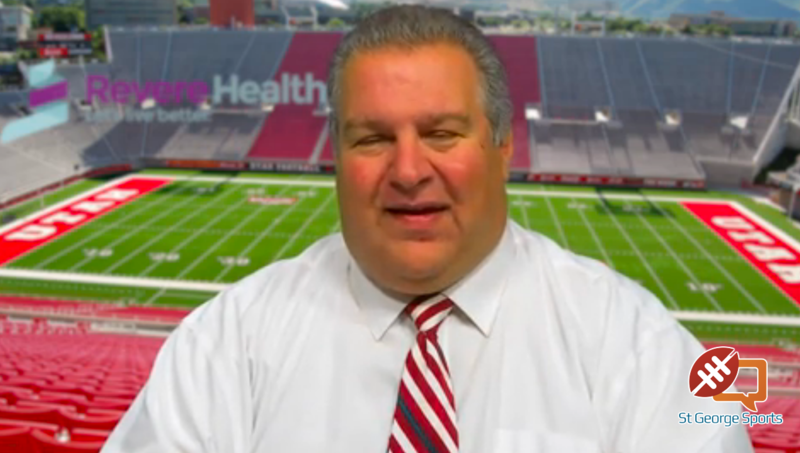 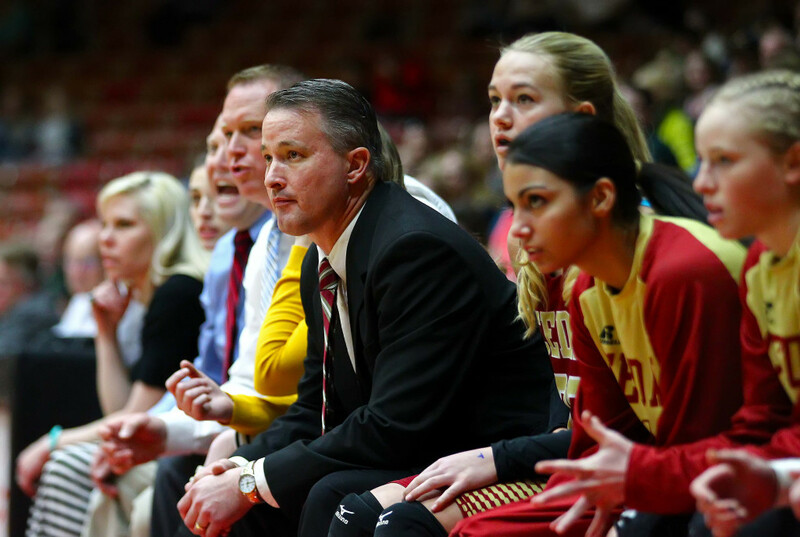 The total point differential in the three games was four points. 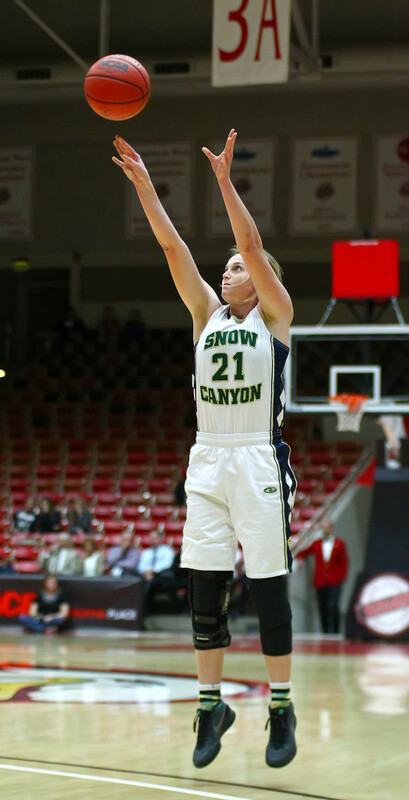 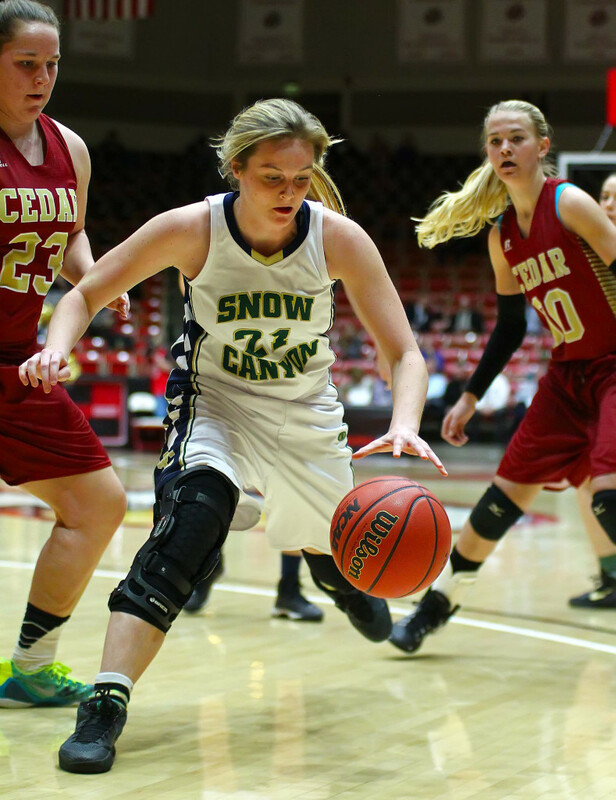 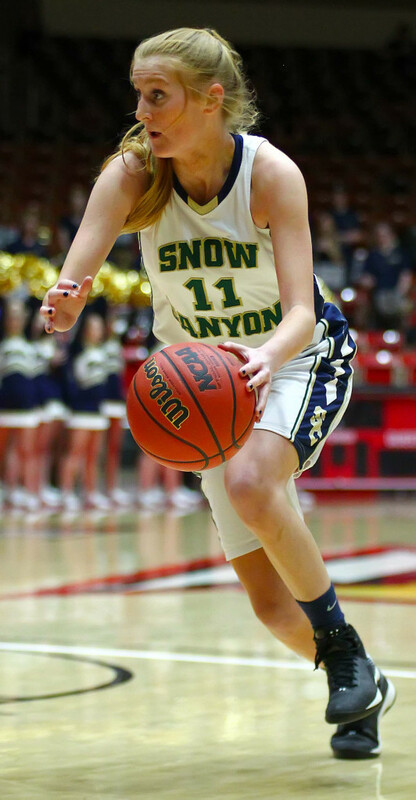 Snow Canyon, 23-4, was 17-39 from the floor (43.6 percent) and made 5 of 8 3-pointers, including 2 for 2 by Sydney Bott and 2 for 3 by Mooring. 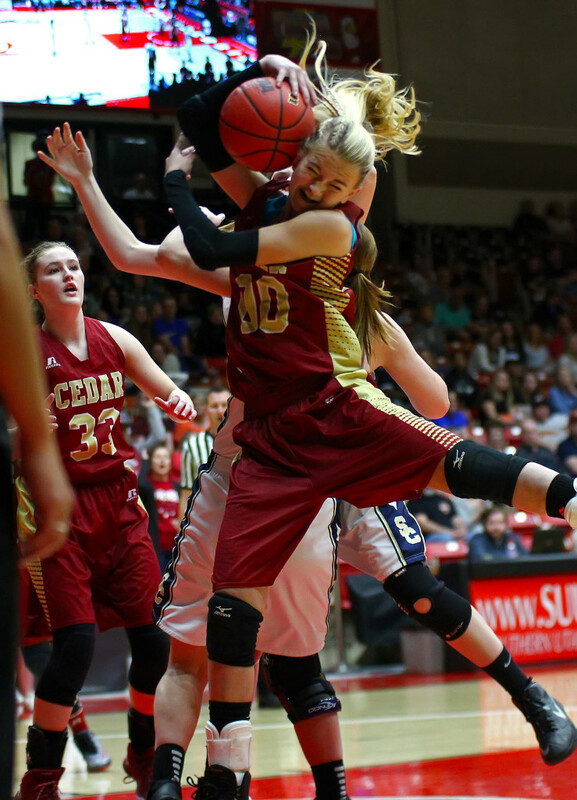 Cedar ends the year 20-6. 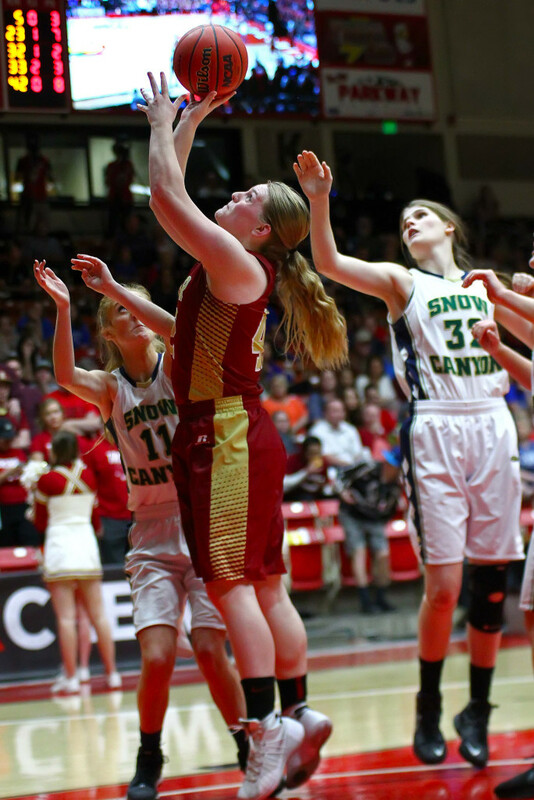 Morley had 17 points, with Davis and Jessica Whetman scoring 12 each. 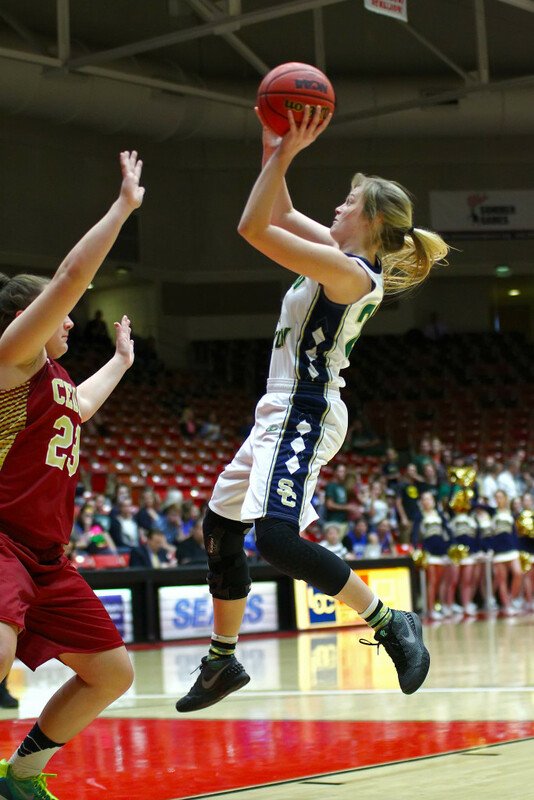 The loss snapped an 11-game winning streak for the Lady Reds.